Just like ProfileMaster, our steel version, LIGHTster offers three different profiles covering a multitude of purposes as required by the circumstances and conditions on site. Single as well as double girder versions in standard or short built are possible and also monorail rails can be realised. 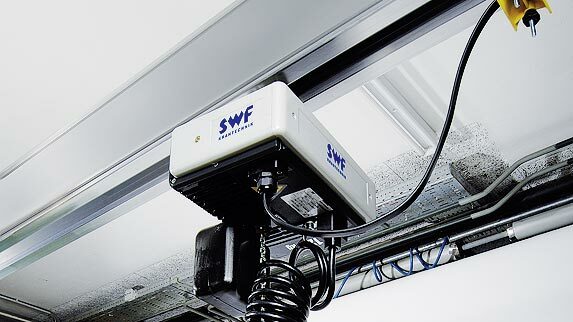 The systems can be designed as manually operated push cranes or motorised cranes. The narrow nylon wheels on the galvanised manual trolleys allow an easy and quite moving during operation. Simple but robust profile joints as well as few necessary fixing points make the mounting on site easier and more effective. Components arrive pre-sorted, which makes a quick overview and sorting of the parts possible. LIGHTster optimizes time and manpower requirements. 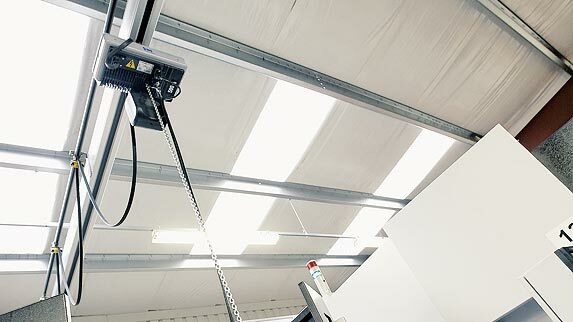 The reduced own weight of the aluminium crane has a positive effect on the building’s statics and makes the mounting for the installers lighter and easier. Furthermore the LIGHTster convinces by its precise moving of the fixed loads. In combination with electric chain hoists SK with integrated frequency converter control for the hoisting process, it is possible to operate in a precise and gentle manner. The stepless lifting and lowering of the loads ensures on the one hand minimum wear of the hoist and on the other hand a nearly concussion- free transport. Sometimes the simplest solution is also the best. With ProfileMaster we offer you a complete modular system which enables you to solve even the most complicated logistical problems in next to no time. 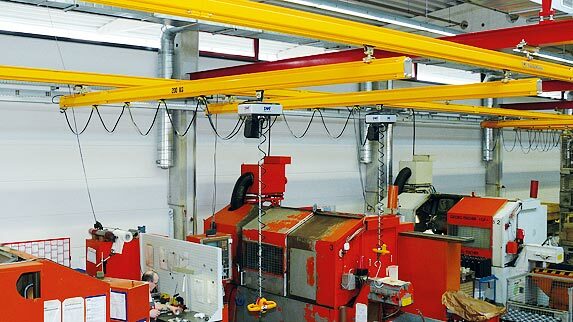 This profile crane system has a proven track record in every situation which demands a fast flow of materials: in factories and warehouses. It enables you to design your own individual hoisting system, optimised for the specific transportation task, by combining high-quality pre-fabricated components which satisfy virtually every requirement. Our kits include turnstiles, swivelling and sliding switch points and other components; as a single- or double-girder system; with manual travel trolley or electric drive, ProfileMaster opens up possibilities in every direction.